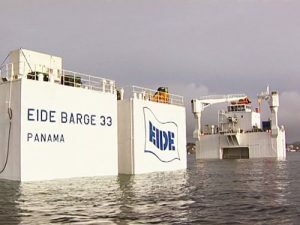 Eide Marine Engineering BV, delivered the full design documentation for the conversion of the Eide barge 33. 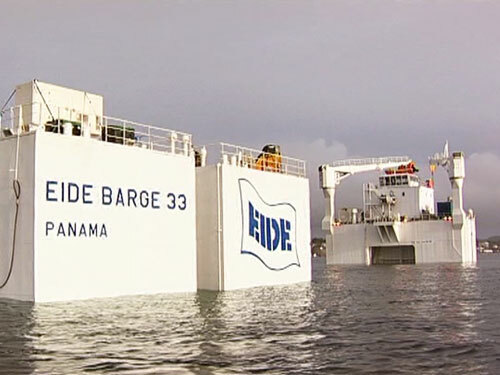 The barge is converted from a standard flat top barge (93.726 x 27.432 x 6.096m) to an enlarged Semi Submersible Heavy Lift Barge (109.7 x 45 x 6.096m) with a maximum submersion draft of 26m. Eide Marine Engineering BV, delivered the basic design package for a shallow-draught self-propelled self-unloading vessel. 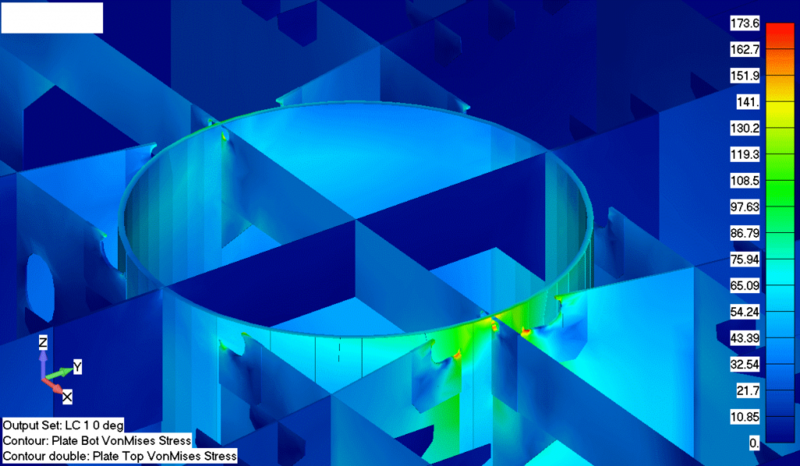 The vessel (130 x 27.5 x 8m) has open top hopper with approx. 12 000t ore capacity. The design is according the latest standards and regulations. 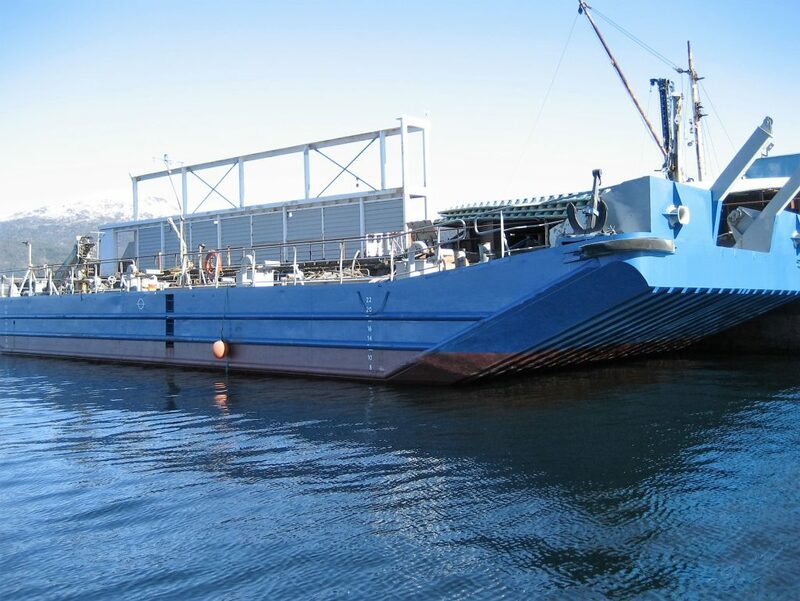 Eide Marine Engineering BV provided the new-design and conversion-design for several barges which can additional be used as heavy lift test barge. 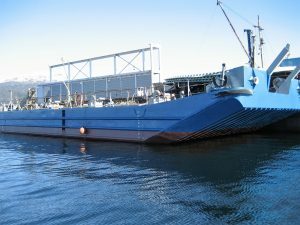 Deck cargo barge / 2750 s-tonne test barge – Franklin Offshore Pte. Ltd. This barge will have a combined function: in normal use it will be used as a deck cargo transport barge and for load testing of several floating cranes, it can be equipped with 8 lifting points. The barge can be lifted by one single lifting point. 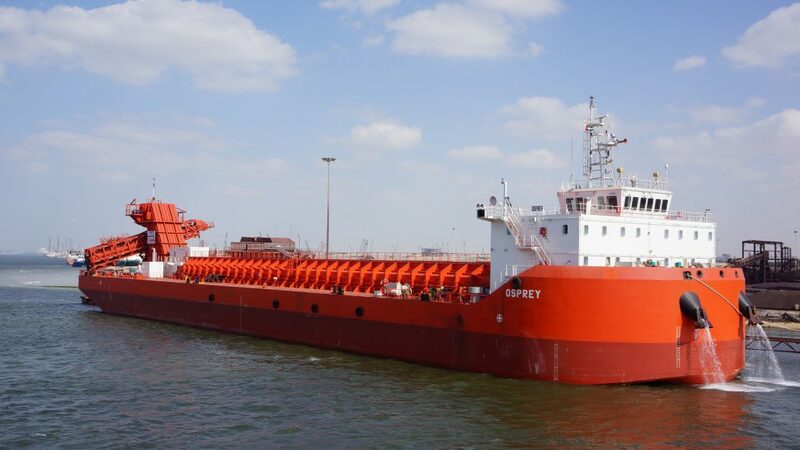 This barge will have a combined function: in normal use it will be used as a deck cargo transport barge and for load testing of several floating cranes, it can be equipped with 4 lifting points. The barge can be lifted by one single lifting point. Eide Marine Engineering BV provided the barge structure, pedestal integration and superstructure design, for Louis Dreyfus Armateurs. The barge will be equipped with a 50 tonne, 360degree fully revolving grab crane type Gottwald with a lifting capacity of maximum 50 tonne at 36m. The barge (60×24.6×4.5m) is able to work in coastal areas. Above maindeck there is a large superstructure containing a large workshop, covered working deck, offices and a 27p accommodation. The selection of scantlings are based on the availability on the local market in Brazil. Due to limited available crane capacity in the local operating area, special provisions are included to install and maintain the crane without the need of additional cranes.